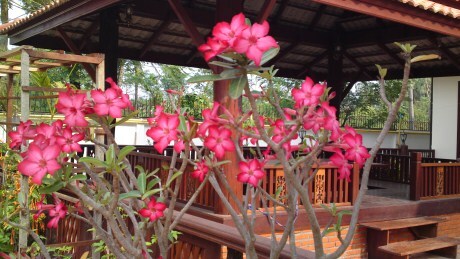 I’ve an interest in flowers and plants and whenever I go to Laos for a vacation to do my best to capture as many flowers and plants as possible on my camera. 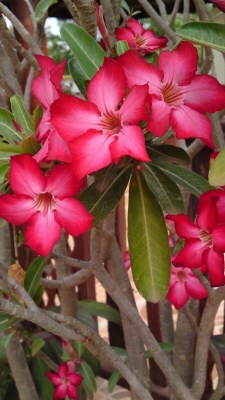 One particular flower that is growing in all of my relatives’ garden is Adenium, which is a popular flower next to Dok Setthi. 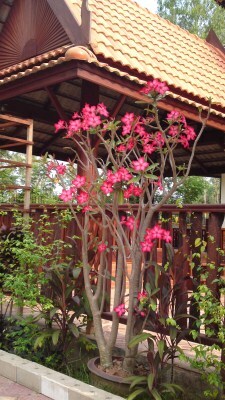 I asked many of Lao relatives why do they have this flower planted and if they known the meaning of it. Most of them said they have it because it might bring them luck because many of their Chinese friends have them. 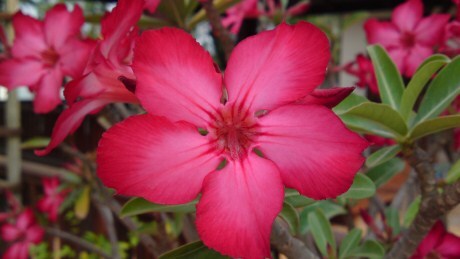 Those of my relatives that are part Chinese have this flower planted due to tradition and belief. 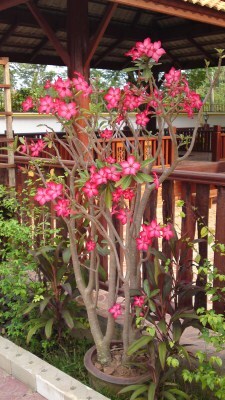 In Chinese Adenium is known as “FuGuiHua“ and means the flower of rich and honour. It represent wealth and prosperity. 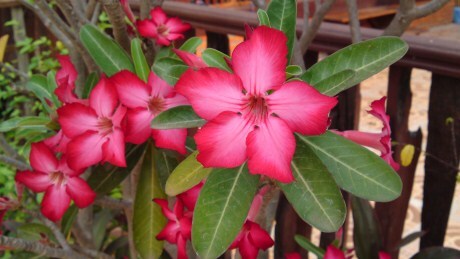 I don’t know how true it is but those relatives with this flower on their yard are financially well off. Perhaps I should get this flower in a pot for my living room for an experiment. 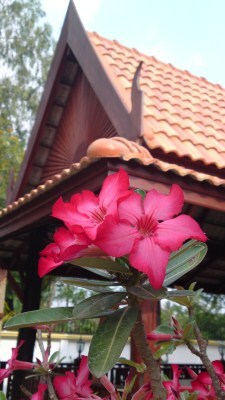 Check back with me in a few years and see if the prosperity flower has brought me any prosperity.